The South Africa-Cuba medical doctor programme has been a catastrophic failure, yet the South African government continues to send medical students to the despotic island nation and to place Cuban-trained doctors in South Africa’s hospitals and clinics. Perhaps, it’s time the South African government learnt from Brazil, which has denounced its own doctor programme with Cuba. Brazil’s president, Jair Bolsonaro, has been scathing about the country’s programme “Mais Medicos” (More Doctors) that was brokered by the former Brazilian president Dilma Rousseff and overseen by the World Health Organization (WHO). All Cuban doctors are employed by the Cuban government. Those who remain on the island, receive salaries well below $100 (about R1,424) a month. Cuban doctors permitted by the communist dictatorship to leave the island, generate billions of dollars for the state – one of Cuba’s most important sources of foreign exchange. These “medical missions” from Cuba are paid for either by the host country’s government or by donor countries that send funds to the WHO. Cuba is one of the world’s most repressive and least free nations on earth where state control of the economy is pervasive. According to the Heritage Foundation’s Index of Economic Freedom, Cuba is ranked 178th out of 180 countries, ahead of only Venezuela and North Korea. The average worker earns about $30 (about R427) a month and any move towards genuine political or economic freedom is rejected by the communist regime. In 1996, the South African government established its own doctor programme with Cuba to reduce the chronic shortage of skilled doctors in South Africa and avoid the supposedly high cost of training them here. Yet, rather than scrapping it altogether, the government continues the programme and Motsoaledi indicated that government would be simply “scaling it back temporarily”. We have long suggested that to tackle the chronic shortage of skilled doctors, rather than sending students off to a far-flung, despotic nation that has a completely different disease profile, the government should allow more skilled healthcare professionals from abroad to practise medicine in South Africa, increase the number of positions available at government-run medical schools, and allow the private sector to train doctors. Despite our growing population and dramatically increased burden of disease driven by the onslaught of HIV/Aids and tuberculosis, the government has only slightly raised the number of trainee doctor places at government-run medical schools from what it was in the 1970s. According to Martin Veller, who chairs the South African Committee of Medical Deans, “SA’s medical schools graduate about 1,800 students a year”. Since the 1970s, when SA graduated about 1,200 students a year, the population has more than doubled from 24.3-million to 57.7-million. Add to this our ageing population, which will require more treatments for chronic ailments in future, you cannot fail to see that the shortage of doctors is going to get even worse. Our poorly performing public healthcare system exacerbates this problem because it is driving our doctors away. The government still refuses to allow the private sector to train doctors and prohibits prospective doctors from completing their community service and medical internships in the private sector, which would lessen the burden on the budgets of provincial government departments. South African private hospitals are world-renowned for their excellence and high level of care. Privately run education facilities, conducted in cooperation with private hospitals, would attract internationally recognised lecturers. Such an increased pool of knowledge would lure international students to our shores, who, once qualified, may continue to work in South Africa. 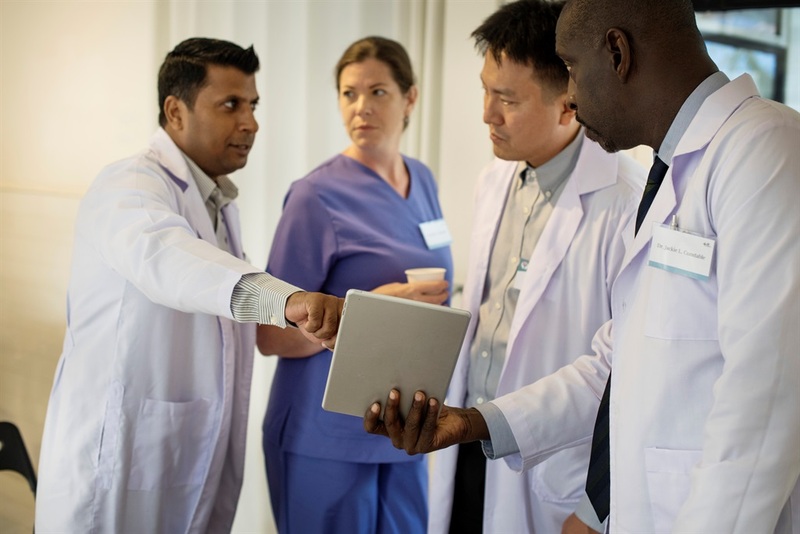 Private medical schools may not solve the medical staff shortage overnight, but they would assist in increasing the number of medical professionals with skills appropriate to meet South Africa’s healthcare challenges. Students, who wish to become medical doctors, need not be sent to a communist island prison.